Antisemitism and arthritis are indeed both endemic in society. The former, however, is fuelled by the policies of the Israeli government whilst the latter is exacerbated by age. There is little or nothing that one can do about arthritis which is a degenerative disease but there is everything the world can do about rising antisemitism which is the direct product of the illegal policies of the current Israeli government. There is a definitive and substantiated correlation between the persecution and killing of the dispossessed indigenous people of former Palestine and the dangerous increase in the tangible opposition to those perceived as supporting those killings by word and deed i.e. 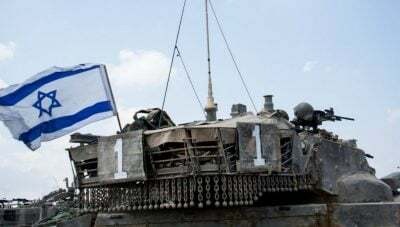 the sending of both money and arms to the Israeli government for use in the furtherance of the occupation of Palestinian land and the continuance of the ten year inhumane and illegal blockade of essential goods and services against 1.8 million civilians in Gaza. That support, which totals millions of pounds annually from the UK alone, together with billions of dollars from the US, is the fuel that keeps the engine of the occupation running: the continuance of the blockade and the persecution of five million indigenous Arabs – both Muslim and Christian – who have been the majority people of the region continuously for over a thousand years. The consequence is increasing antipathy towards those responsible for this neo-colonial endeavour that has deliberately kept nearly two million innocent people, in Gaza, unemployed, without electricity and just at subsistence level by a brutal, occupying military force trying to effect regime change for its own political advantage. The tragedy is in the deafening silence of governments that has led predictably to the global increase in antisemitism. The increasingly likely consequences to those sympathetic to political Zionism and the expansionist policies of the Likud party of Binyamin Netanyahu, are disturbing. And that disturbance is increasingly evident as some of those affected are already packing their bags. It is a situation that is fast becoming irreversible and that is entirely due to what can only be described as the criminal negligence of various European and North American governments in not only failing to condemn but actually supporting a political movement that is so clearly contrary to the democratic norms of the 21st century and the will of the United Nations. Hans Stehling (pen name) is a frequent contributor to Global Research.